Today marks the 20th anniversary of the discovery of the first Kuiper Belt Object, 1992QB1. KBOs are distant and mostly tiny worlds made up of ice and rock that orbit the Sun at incredible distances, yet are still very much members of our Solar System. Since 1992 over 1,300 KBOs have been found, and with NASA’s New Horizons spacecraft speeding along to its July 2015 rendezvous with Pluto and Charon (which one could argue are technically the first KBOs ever found) and then onwards into the Belt, we will soon know much more about these far-flung denizens of deep space. 1. Our planetary system is much larger than we had ever thought. 2. Planetary locations and orbits can change over time. 3. Our solar system, and likely others as well, was very good at making small planets. 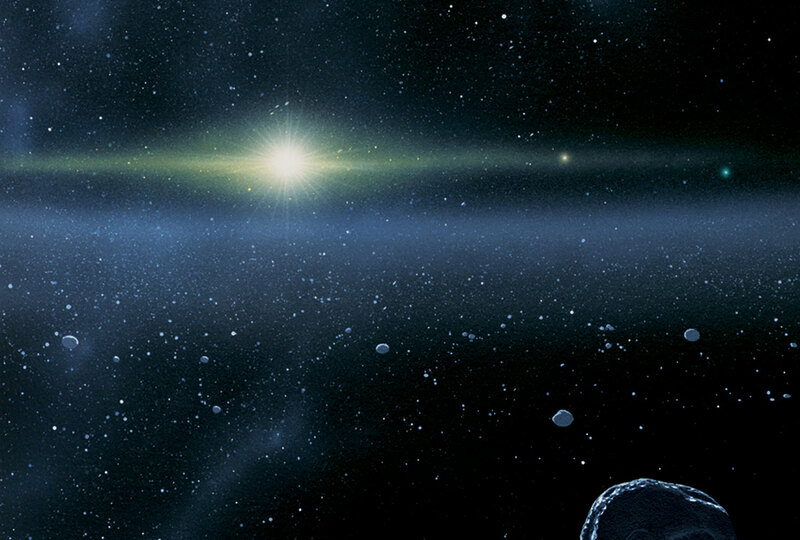 Read: Was Pluto Ever REALLY a Planet? Read more about the New Horizons mission here.